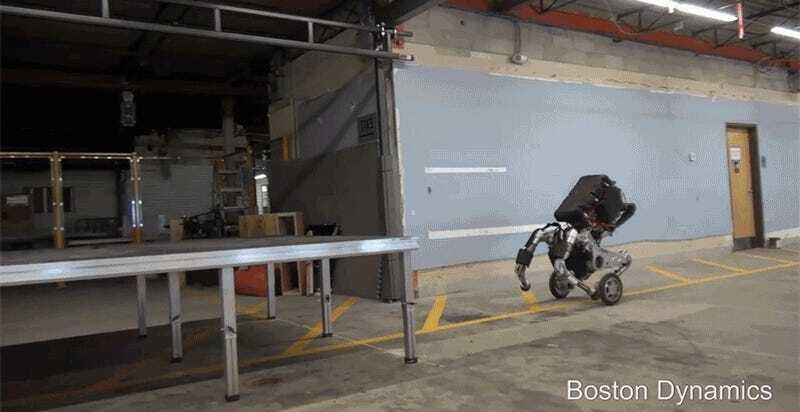 We got our first glimpse of Boston Dynamics’ newest robot about a month ago after footage leaked from a presentation given by Marc Raibert, the company’s founder. But today we finally have the first official reveal of Handle, and the new video will make you wish you also had wheels instead of feet. The leaked footage of Handle already revealed the robot’s amazing jumping abilities, as it easily leaped over an obstacle without having to slow down at all. 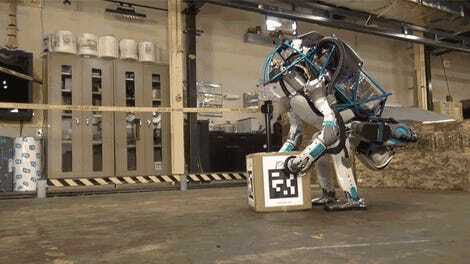 But the extended cut shows off even more of the two-legged robot’s capabilities. Apparently, the movie RoboCop gave us a false sense of security when it came to a robot’s inability to handle stairs. Instead of collapsing like ED-209 did, Handle rolls down a small flight of steps like they’re nothing more than a ramp. As with almost all of Boston Dynamics’ creations, there are no plans to put Handle into production just yet. Instead, the robot is yet another research project built to demonstrate that when designing bots, copying every aspect of a human isn’t always the best approach. 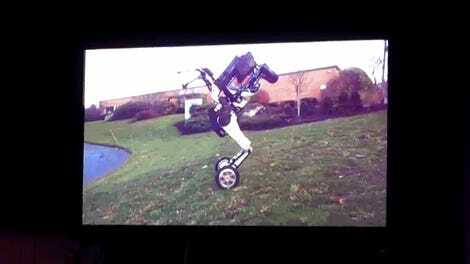 Handle might stand on two legs, but by balancing on a pair of wheels, the robot can hit a top speed of nine miles per hour and jump four feet vertically, despite weighing hundreds of pounds. The robot’s unique design allows it to navigate a world that’s been mostly designed for creatures that walk on two legs while giving it much greater speed on flat surfaces. 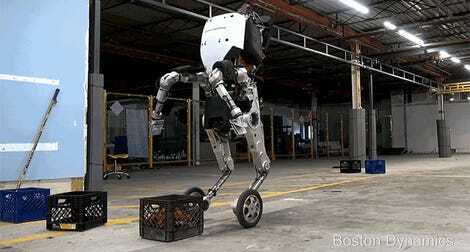 Handle was also built with just ten motorized joints, making it much simpler than other Boston Dynamic robots like Atlas. Which means that once the company does start selling robots like these, they might not come with a price tag requiring a military-sized budget to afford.